Fathallah Gulen is a leader of the Gulen Clan and currently resides in America. Recently, Gulen has embarked on a course of conspiracy against PYD and PJAK and issued fatwa against Kurdish people in America. In a video clip Gulen politically attacked Kurdish parties, PYD and PJAK parties. 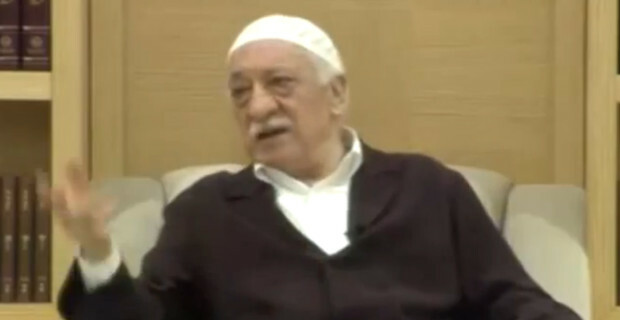 In the centre of America, Gulen Clan has frequently issued fatwa against the Kurds. Gulen’s command in Northern Kurdistan has led to the killing of thousands and displacement of tens of thousands of Kurds. After Kurdish successful revolt in West Kurdistan (Syria) which led to significant achievement of Kurdish people, because Gülen knows that this revolution will affect other part of Kurdistan, he is attempting to hamper these developments. Gulen uses a special warfare for hampering what the Kurds have achieved in West Kurdistan, a tactic he has used for decades against the Kurdish liberation movements. The students in Gulen’s schools opened in South of Kurdistan have been brain-washed and deceived and used against the Kurds. In the video clip Gülen says: “For the Elimination of those people (PJAK and PYD) they can do these things: PKK has got two types of sisters. One of them is PYD party and the other is PJAK. All the names I do not know well because I am very busy with the war. You should give money to two spies and tell them to say that they arrested members of PYD and PJAK while they were carrying drugs. Then incite people and friends around you to motivate hatred against them. This approach has been already used. Consequently, you can set up multiple addresses with a police presence there, as an excuse to eliminate the drugs. What is more, those police who attack these addresses can take bags which contain the drugs and be embedded in somewhere. Even they can put weapons in those bags; perhaps we call them terrorist so it’s more worth it. Now we would be able to call them drug dealers and we can even say that they were preparing for terrorist attacks.